I use my mom’s house in Sacramento, CA as my permanent address, though I spend almost my whole year travelling. About 17 years now? That makes me feel really old. My parents took me to a gym because they thought I would like it. Turns out I really liked it. 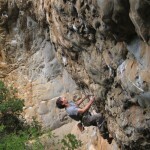 What did you start studying and what work did you think you would do before full time climbing? I started studying civil engineering and I probably would have worked as an engineer had I not dropped out of school. I always thought it was cool to build things, but I have to say I’m a lot happier travelling and climbing. What routes have you opened and are you opening any new routes at present? I’ve done the first ascent of tons of open projects around the world. 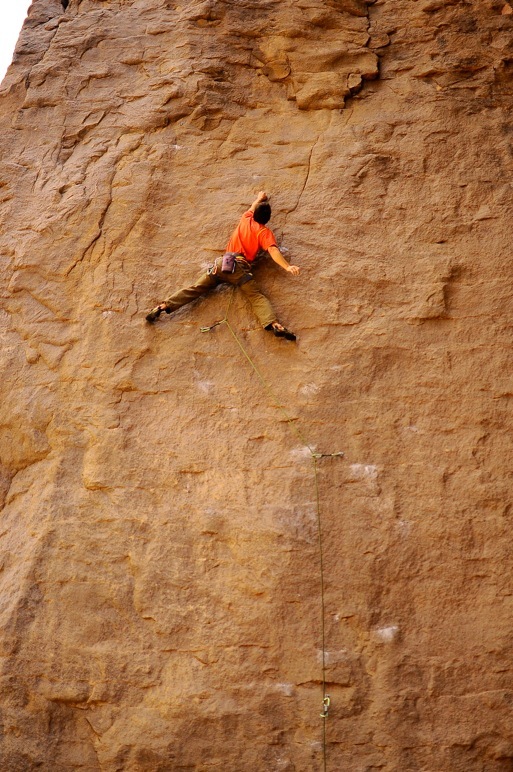 Normally scrappy little sport routes on some random crag, most recently a few in Morocco and Chile this Spring. I’ve only opened a few real routes, the proudest might be this big wall in Borneo that I climbed on a North Face expedition. I’m actually working on something in Yosemite right now though. Hand drilled my first bolt in Yosemite granite today. I don’t think I ever have before, but I will probably have to in the future if I want to climb harder routes. I don’t do much, and not very systematically, but I often think I should try harder. I do opposition and core fairly regularly just to prevent injuries, but I really should do more climbing specific training, like finger work. I came to check out Rocklands, just because a lot of my friends really liked it. We wound up spending 4 weeks in Rocklands and a few days around Cape Town. One day at Montagu and one day at the Mine in Cape Town. It was a pretty fun trip. What did you think of Rocklands? It was really good climbing, but it’s bouldering. It got boring after 2 weeks or so; I’m just not much of a boulderer. Not many. 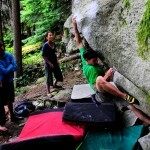 Bouldering is tough! How does Rocklands compare to Bishop? 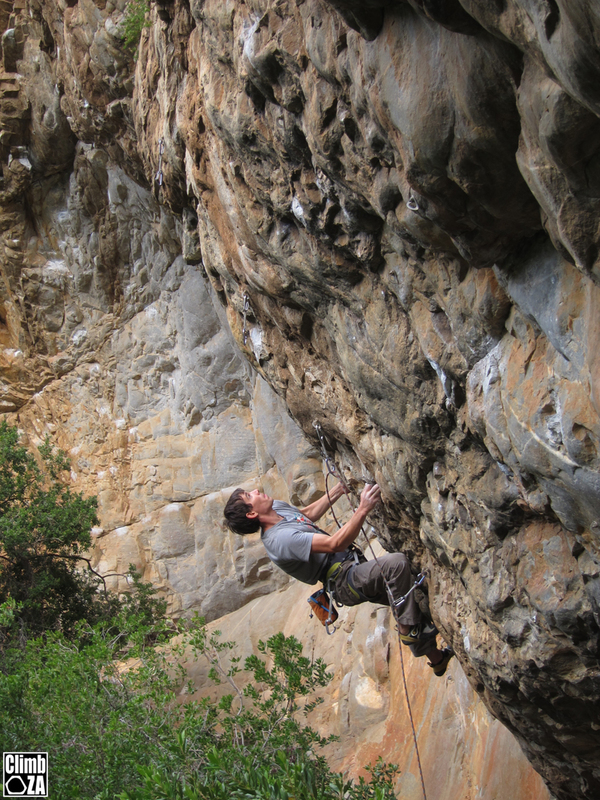 The climbing is maybe more fun – more diverse holds in interesting shapes and sequences. But the lines aren’t nearly as proud. And the ambience isn’t as inspiring to me. I like the huge boulders and huge mountains in Bishop. Rocklands is better climbing, but I think I like Bishop more. 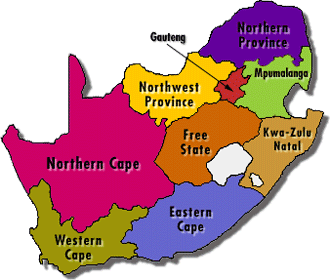 From the limited amount of South Africa that you have seen (Western Cape), what do you think of South Africa? Hard to judge from so little, but it seems really nice. Reminds me a lot of Europe, but with more interesting scenery and cooler animals. I’d really like to see the rest of the country though. Some day I might do a bigger trad/sport tour. I know a lot of people in SA told you about big walls here… are you tempted to come back for another visit? Definitely. I’m already sort of thinking about a bigger tour. I would move around more and hopefully do a safari or something. The landscape is pretty special. I don’t know if that’s true, but those came to mind first. 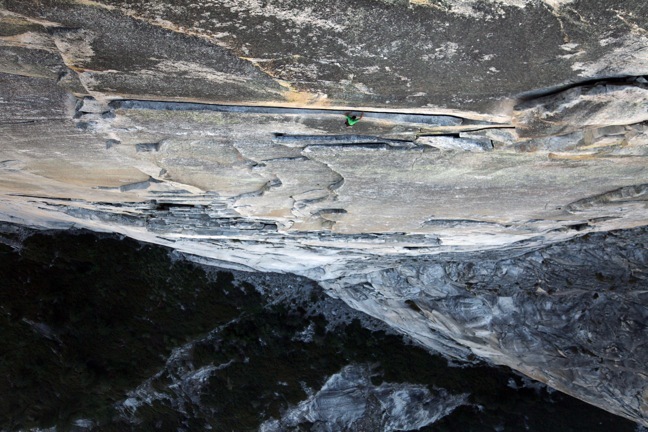 Peter Croft, Tommy Caldwell, lots of other folks. But those two probably shaped my climbing the most. What countries have you visited for climbing and what other places in the world are on your list to visit? This might be a long list, let’s see if I can remember: USA, Canada, Mexico, El Salvador, Chile, Spain, France, Morocco, Chad, South Africa, Tanzania [if you count Kili as climbing], England, Russia, Germany, Czech Republic, Poland, Greece, Turkey, Israel, Jordan, China, Malaysia. The list of places yet to come is even longer. Climbing! New projects, new challenges, whatever. Always different things. Right now I’m working on a big wall trad thing, but I think it might be too hard for me. I’m in Yosemite right now, so anything I try will probably be trad. 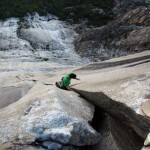 Do you ice / alpine climb? I haven’t really done much, though I’m starting to think about it more. It seems like if I want to keep climbing bigger rock faces I need to head to the bigger mountains. Well it allows me to climb all the time, which is huge. I never would have travelled so much without sponsors. 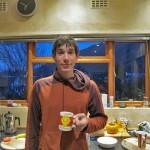 And it allows me to put more energy into my climbing, which means bigger projects. I change styles all the time, so it’s hard to choose one. 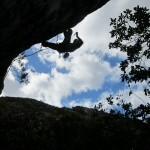 But if I could only do one for the rest of my life it would probably be sport climbing. It’s just the most fun. 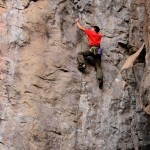 What makes free soloing so attractive to you? It’s badass! I just like the position. Being way up on a big wall with no one around, it’s pretty impressive stuff. And I like that it’s harder. Always. I like to start slow. Do you follow a diet – I’ve heard you’re into eggs? Ha, that’s only in one video or something. I was cooking for like 5 guys. I don’t follow any special diet. I generally try to eat fairly well, fruits and veggies and such, but sometimes I eat a lot of cookies. I don’t stress it too much. Tell us about life living out of a van? Well it’s a lot better than living out of a tent. And it allows me to travel all the time. And it’s pretty cheap. Other than that it’s basically like having a really small apartment with no power, water, or appliances. Any plans to settle down (even just a little)?No plans, though I’m sure I will at some point. Sooner or later I’ll want to live somewhere for longer than a month. Ooh that’s a good question. 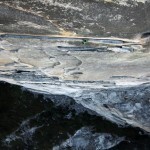 Pendragon in Rocklands, the Triple in Yosemite, Sur la fille de la nuit [spelling? 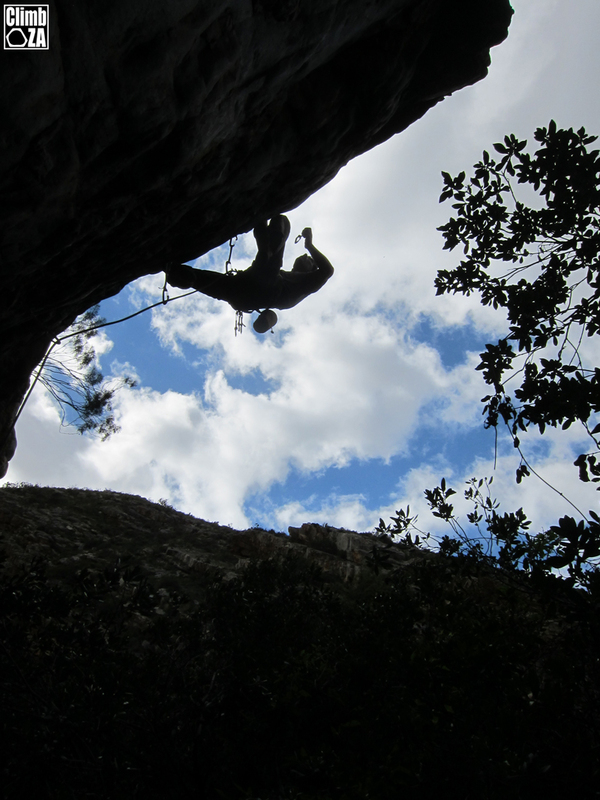 French is tricky] in Morocco – something like a 10 pitch 7c+ face, but sporty. It was amazing. Too big to Flail – such a proud boulder! What is your hardest onsight? What enabled you to onsight the route? 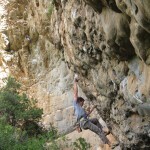 I’ve onsighted some 8a+ sport routes. It seems like sometimes it just comes down to getting lucky with sequences. I don’t know. Neither, but I do a lot of tea in the third world when I can’t get water easily. What would be your top 3 foreign destinations? What about skiing and MTB’ing?? Well yes, but very poorly, though I enjoy both. Respond to emails now, sadly. Read, write, catch up on things. Not a whole lot. I like to hike when I can, and when I have the energy. No. Not much going on with Alex. Not sure, I don’t really have set goals for the season. Actually, I’m not even sure where I’m going to be going for the next year so it’s hard to plan that kind of thing. Yes, but it’s not always pretty. Any of the funny ones probably involve me or a partner pooing. For example, I took a poo while simuling once. I wound up waddling across a ledge with my harness and pants around my ankles because my partner ran out of rope. There are a lot of random stories like that. The scariest experiences were all with a rope on, generally because I thought I was off route or couldn’t find gear. With soloing being a personal kind of thing what is it like having people filming you while you’re doing it? It is weirder having people film that kind of stuff. All the Reel Rock footage this year was aid soloing though, which isn’t nearly as intense [even though most of it was free solo, I still had gear and dasies on me so it’s a lot less committing]. I haven’t filmed many actual solos. Normally I just go back and shoot on them afterwards. 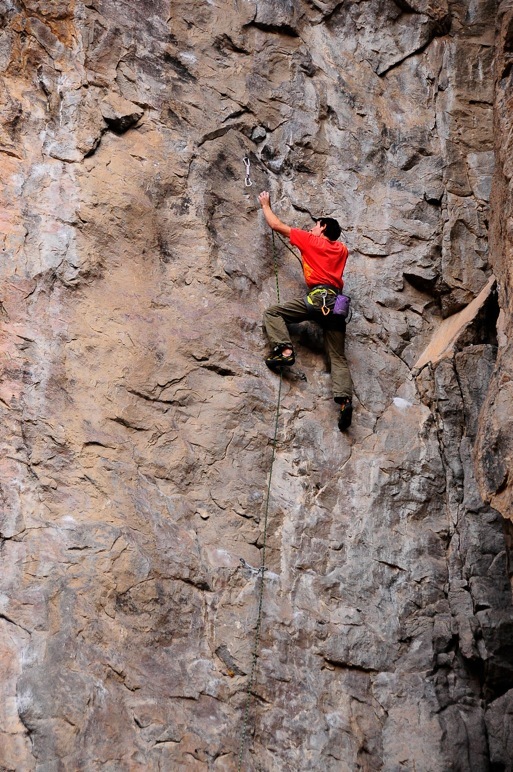 You’ve said in the past that free soloing is more fatiguing than roped climbing – how so? I have? I suppose it’s because I’m over gripping because I don’t want to fall off. And psychologically it’s a bit more demanding. But I suppose if I were doing it perfectly it would be quite a bit easier. And sometimes it does feel that way. Do you ever worry about bolts failing whilst you’re using them for aid whilst free soloing? I actually broke a bolt yesterday, which is the first time I’ve ever broken a bolt. I just sat on it and it snapped. Scary! But the things that I’m aid soloing have all been rebolted by the American Safe Climbing Association, so the bolts are shiny and new for the most part. The footage on Mt Watkins (clip below) of you about to clip the bolt with the daisy chain… you seem to loose your footing for a second (I needed to chalk up after watching it!). What happened and would you call that a close call? I just blew a foot. I wouldn’t consider it a super close call, it just looks really dramatic. If my friend hadn’t been 5 feet away filming it I probably would have just grabbed the tat [the random fixed sling thing] and swung over. But I was trying to make it look all controlled so I used this tiny little foot chip to do it static. Then I blew the foot. I was holding on pretty well though. What is the most common question that people ask you about soloing? About death, or fear, or whatever else. Most questions are fairly morbid. 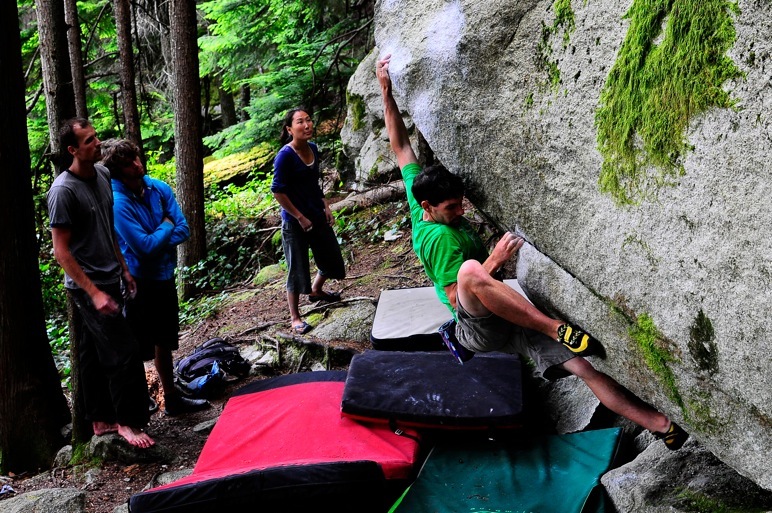 Have you ever backed off (down climbed) from routes before? All the time, tons of different routes. I can down climb about as well as I can climb up, which is crucial since I onsight solo sometimes. What makes a route attractive for an onsight solo? Lots of factors, though some mains ones would be how good the rock is, how hard it is, how much traffic it gets [helps with cleanliness]. I like it to be just the right kind of challenge. Do you think that you will ever stop soloing? I will probably stop soloing hard things sooner or later, but I think I’ll always scramble around in the mountains. 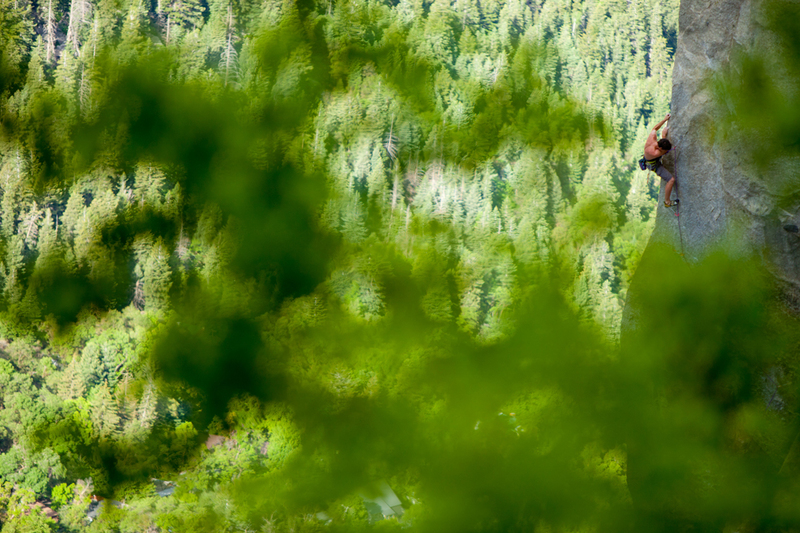 Easy soloing is a lot like going hiking. 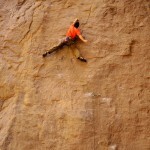 How does your mindset differ between roped climbing and free solo climbing? Well, the obvious thing is that when I’m roped I try my hardest and fall off all the time. When I’m unroped I hold back and climb conservatively. Rock! I like upbeat music. Given the opportunity, would you climb Everest? If it was a free trip, yes. It must be an amazing experience, despite the crowds and craziness. It’s still an impressive mountain. I wouldn’t want to spend my own money to go there though. Do you have a significant other and does she climb? I have a girl friend who’s starting to climb pretty well. She sort of started when we met, so she’s been climbing a few years. I haven’t had any true epics, I’ve never been benighted. The worst would just be botching descents or getting lost in the snow. Nothing crazy. Yes, I can even sit down and turn around and simple tricks like that. But I hardly ever slackline, I’m not sure into it. Technically I got airlifted off a mountain once when I was younger. I was trying to snowshoe, but slid down some ice into a talus field and got all messed up [broken hand and face, cuts and bruises everywhere, I thought I broke my leg but it was ok]. Anyway, I was alone and I called home in my confusion [I also had a concussion], by the time I knew what was going on mom had called in a rescue. Climbing somewhere scenic with good friends. Mostly non-fiction. I’ve been reading a bunch of environmental books, trying to learn a bit about the world. One of the better ones I’ve read recently was The End of Oil. I spend more time on the computer. I get to travel a bit more. I don’t think a whole lot else has changed. I’m still doing the same stuff. I think it was mostly just because I’ve never been arrested or had any big scandals. It does seems a bit ridiculous that I was on the list though. Pretty funny! 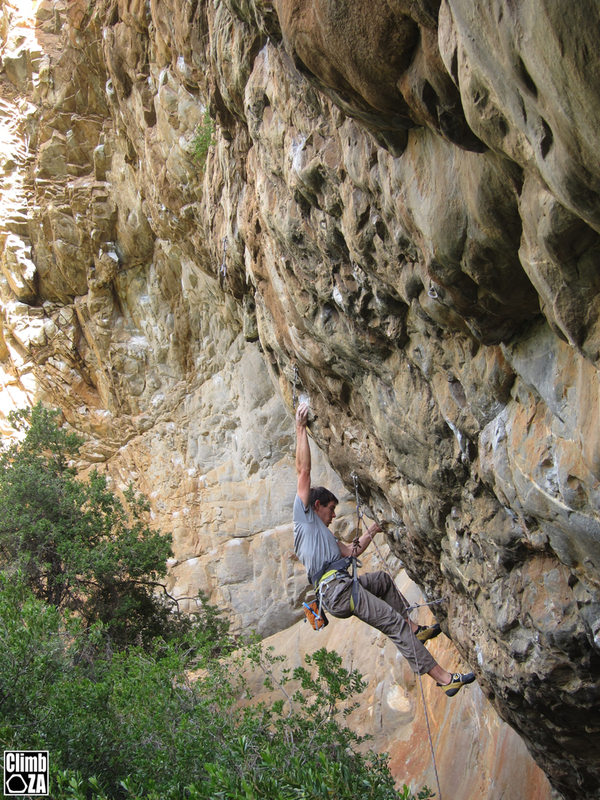 You spent a day at the Scoop in Montagu, what did you think of Montagu and the climbing there? I liked the town, it was surprisingly nice. The climbing felt really slippery. Not bad for local climbing though. Ed’s note: Alex flashed three 8a+’s that day. 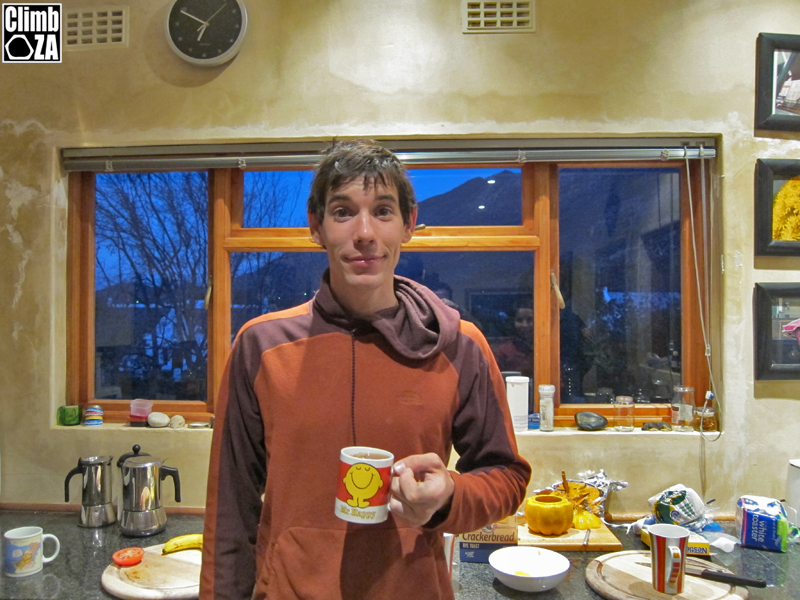 You and Stacey recently got back Mount Kenya? Tell us a little about the trip? It was Kilimanjaro. Mt Kenya will be for the next trip to Africa. It was pretty fun, standard tourist affair. We went hiking for 5 days and got to the top of a very large mountain. It was scenic, but I have mixed feelings about the lines of tourists and the hundreds of porters carrying all our stuff. Did you see much rubbish on the mountain? Yes, but in the grand scheme of things a bit of litter isn’t as big of a deal as, say, a coal mine or a nuclear power plant. It is unfortunate to see candy wrappers on a trail, but all the travel to the mountain probably did worse things to the environment. The North Face, Black Diamond, La Sportiva, New England Ropes, Clif Bar, Ball Watch. Really enjoyed reading you interview. The pictures and videos are amazing!